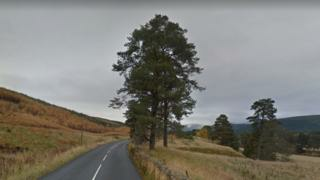 Police have identified a Manchester man killed in a two-vehicle crash in the Scottish Borders. Steven Gregory, 45, died in the accident on Sunday on the A701 Broughton to Moffat road at Tweedsmuir. He was driving south in a Nissan Almera Tino which was in collision with an Audi Q7 heading in the opposite direction. Mr Gregory died at the scene of the crash. The occupants of the Audi were uninjured. Police are continuing with their inquiries and anyone with information has been asked to come forward.